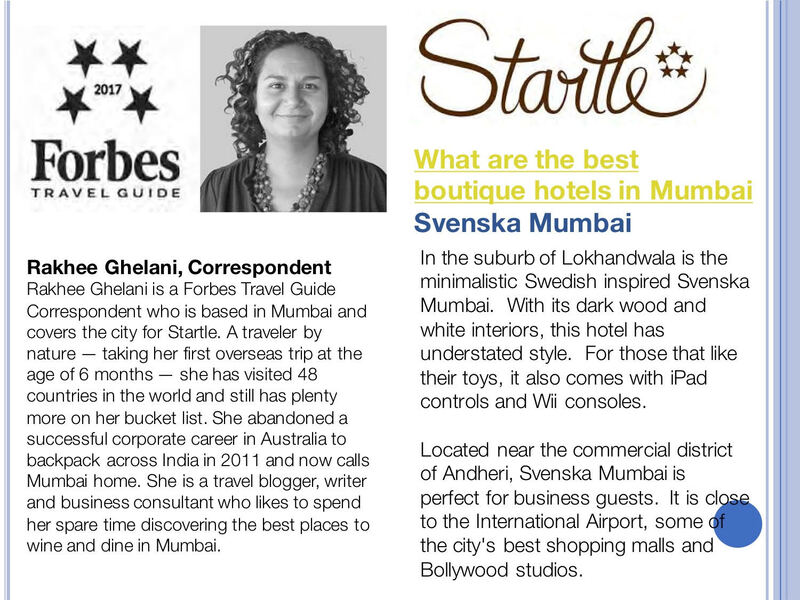 Curated collection of India's finest luxury boutique hotels, covering Mumbai, Bangalore, New Delhi, Gurgaon, Hyderabad, Chandigarh, Siliguri, Gangtok, Srinagar, Manali, Jaisalmer and 7 beautiful boutique resorts in Goa covering all the fabulous beaches and waterfronts -- Candolim, Baga, Anjuna, Vagator, Morjim, Colvale and Britona. Fabulous New Years Eve events at Svenska Design Hotels. Call 9820711110. 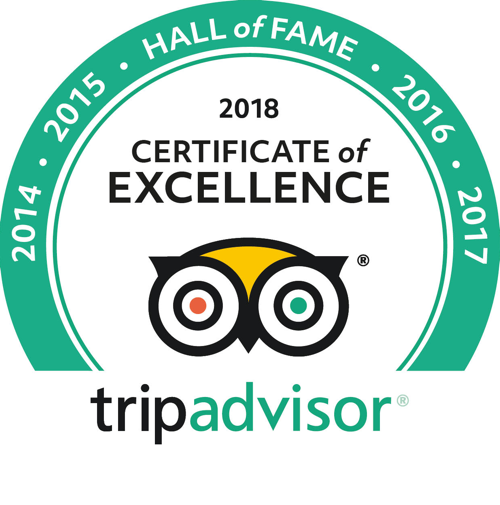 Svenska Design Hotels enter TripAdvisor Hall of Fame by winning TripAdvisor Certificate of Excellence for the 7th consecutive time, awarded top 1% hotel every year since launch - 2012, 2013, 2014, 2015, 2016, 2017, 2018. Svenska Bangalore launches new and expanded menu for Global Buffet with 16 starters & live counters. Enjoy daily Happy Hours at Svenska Mumbai and Bangalore. Freshest breads, bakes and cakes made daily at the Svenska Delicatessen. 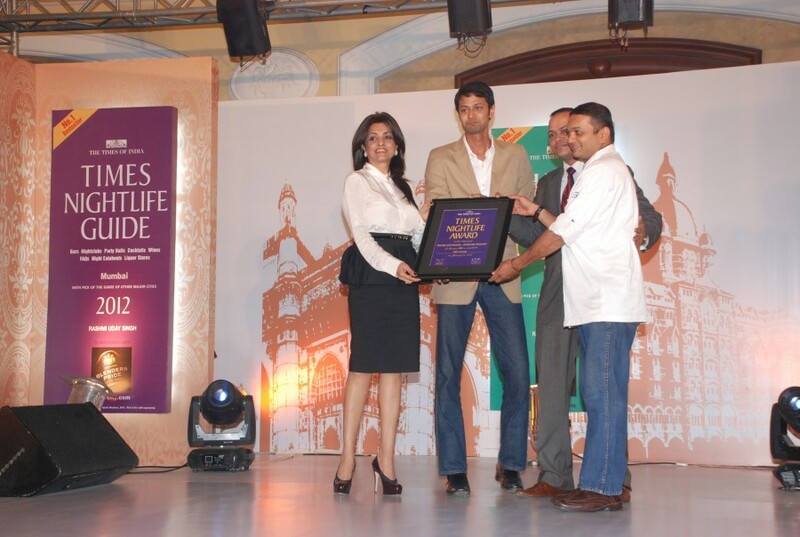 Various spaces for banqueting, conferencing and private parties, with gourmet food & beverages from specialty restaurants. 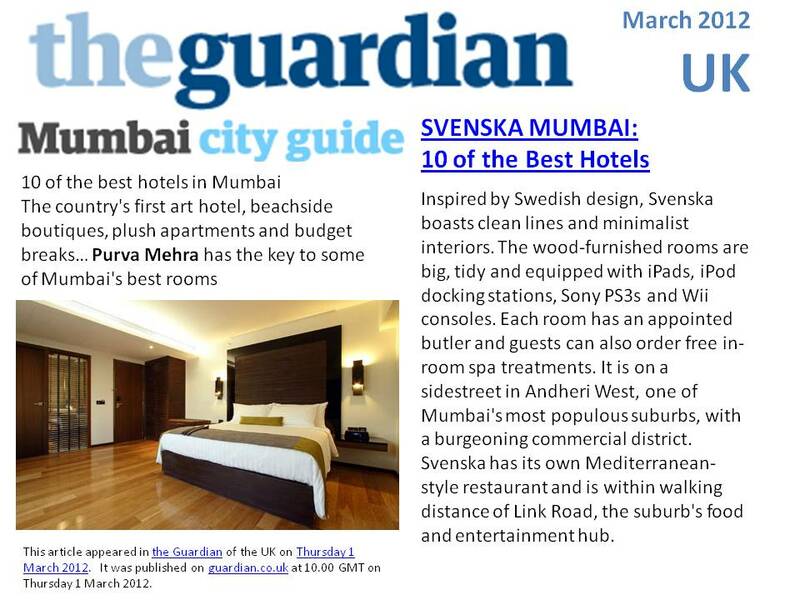 Svenska Hotels is amongst the fastest growing chain of luxury hotels in the world. 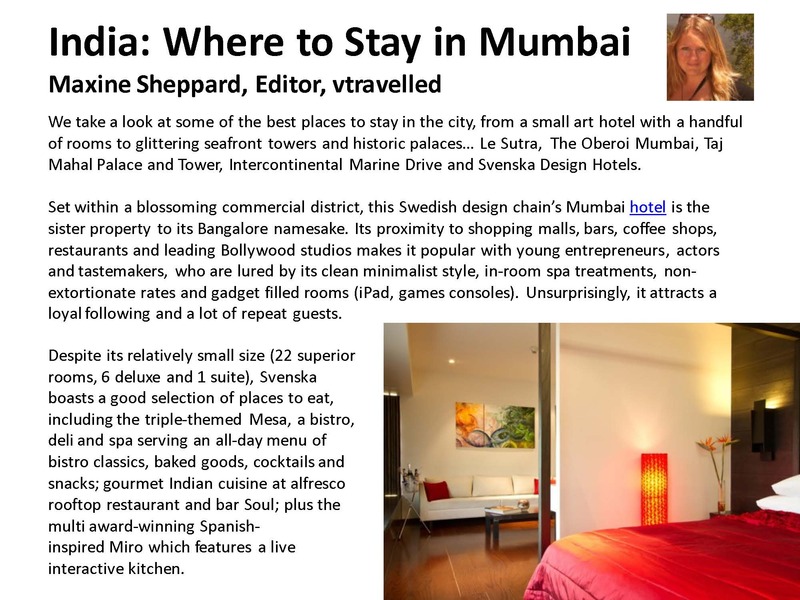 Focused on small-format with the emphasis being on highly personalized and exclusive services for top-end business travellers, Svenska has carved out a unique positioning in the market. 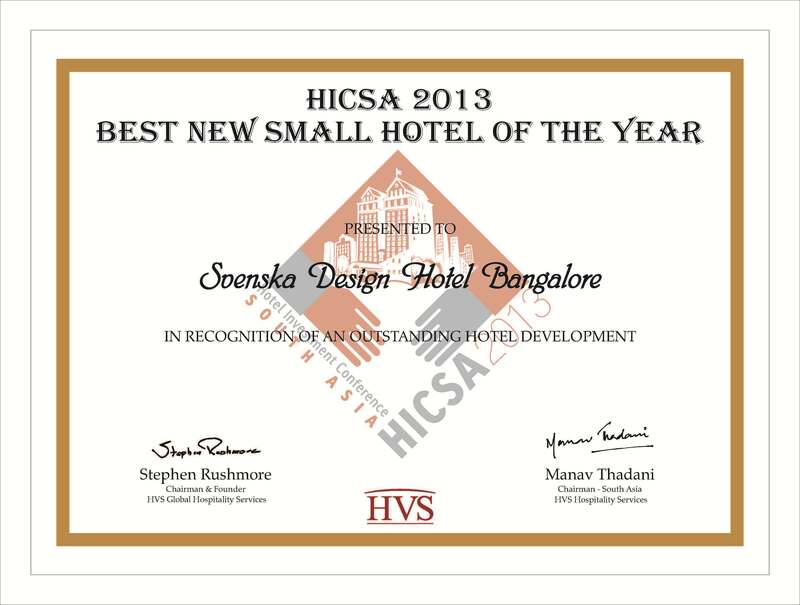 While none of the major global hotel chains have shown inclination or expertise in the economics and viability of designing, developing, managing and marketing high-end luxury hotels with less than 100 rooms, Svenska has focused on mastering this niche space. Our processes, systems and entire business architecture is oriented towards designing, developing, project managing, launching, selling, marketing, operating and managing luxury 5-star hotels that are less than 100 rooms. With this laser-sharp focus on small-format properties, Svenska has been able to establish unparalleled expertise in this segment. Whether it’s the staffing or the financial management or sales or marketing or public relations, Svenska understands the small-format space and its unique requirements for success. We have also established partnerships with amongst the strongest network of service providers and consultants in the hospitality space (see our Partners), thereby bringing in expertise, knowledge and distribution capabilities that independent boutique hotels can only dream of. If you have an existing hotel (less than 100 rooms) or a plot of land (500 sq mtrs to 5,000 sq mtrs) or building shell/ structure (20,000 sq ft to 100,000 sq ft) and are interested in developing a luxury, boutique hotel, please approach us at luxury@svenskahotels.com. Experienced Management Team with extensive functional and general management expertise and work experience with world’s leading hotels, including the Four Seasons, the Oberoi, JW Marriott, Taj, etc. Specialised Culinary Experts focused on developing innovative food & beverage concepts from around the world, with mix of highly renowned Indian chefs along with international cuisine specialists. HR, Learning & Development capability with alliance with world’s leading hotel schools, including Cornell Hotel School in Ithaca, New York, USA. Local campus partners include IHM Mumbai, IHM Bangalore, IHM Pusa in Delhi and Army School, amongst others. IT Systems & Reporting through leading software and hardware providers, with robust data capturing, reporting and analysis through business analytics, leading to informed decisions relating to capital expenditure, business planning and ongoing operations management. Highly Competitive Procurement through economies of scale and partnerships with leading hospitality equipment and services providers, including Sealy of Thailand for world’s best spring beds and mattresses; Sony of Japan for TVs, gaming consoles and DVDs; Kohler of Germany for all sanitary fittings, faucets and ceramic-ware; Electrolux of Europe for kitchen equipment; Daikin of Japan for advanced air-conditioning systems; Sneider of Germany for high-end electrical and electronic components; Schindler of Germany for elevators; etc. Design of Marketing and Identity Collaterals through Gopika Chowfla Design studio, amongst the leading designers in India, with decades of experience with leading hospitality chains, including the Oberoi Group of Hotels, Lemon Tree,The Park Hotels and Rain-tree, amongst others.